The Germans are quite outnumbered and outgunned. So it is a matter of converging on the isolated outposts rather quickly to meet the victory conditions. 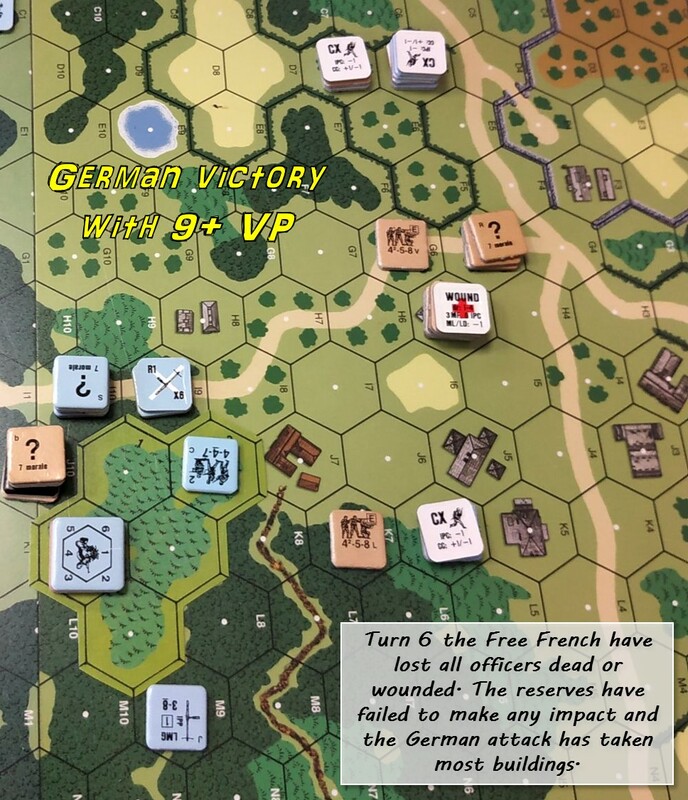 As it turned out the game was decided on the end of the last German turn, as they were so heavily decimated as to offer no further resistance. 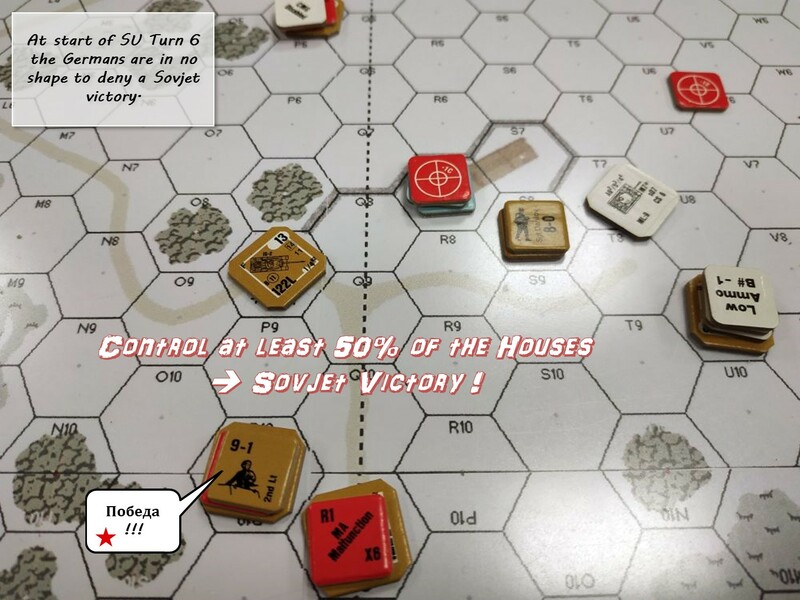 A clear Sovjet victory! In the themed mini tournament I played Free French in British service. 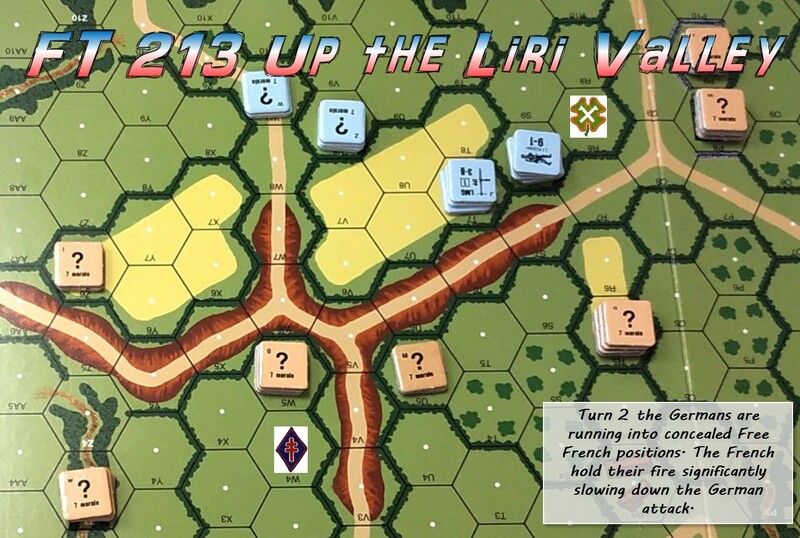 My first game was FT 213 UP THE LIRI VALLEY. 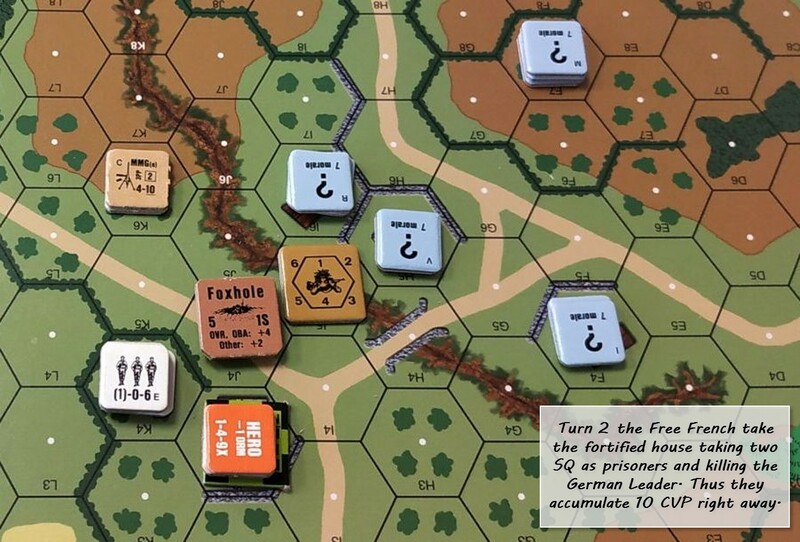 This scenario, one of the newest from FROM THE CELLAR PACK 8 is set in Italy in May 1944. 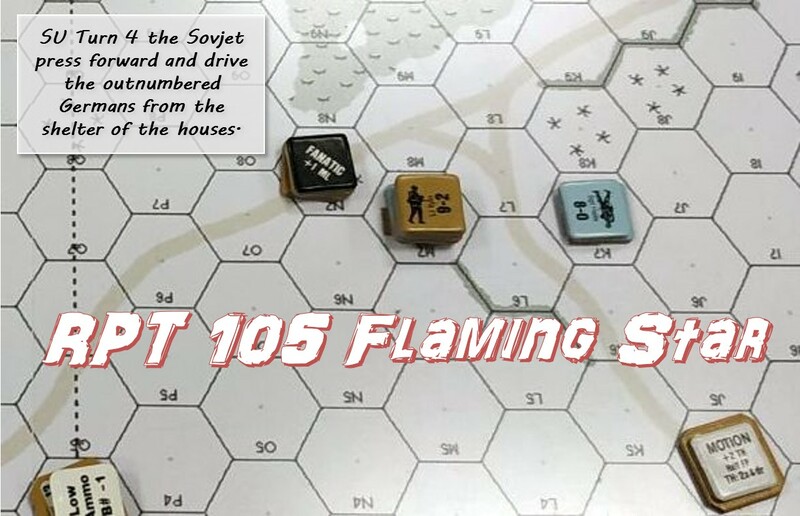 This was a crushing Allied victory due a daring plan that pulled of really well with the blessing of the dice rolling low just when needed. The vitory in round one brought me into round two. Again I sticked with the Free French this time in France in September 1944. 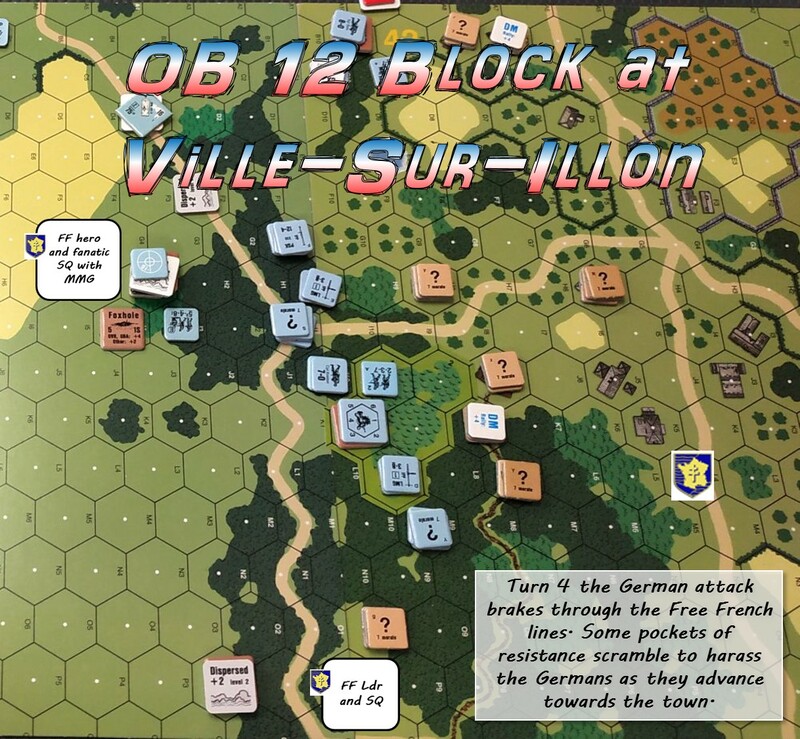 In this scenario OB 12 BLOCK AT VILLE-SUR-ILLON the Free French 2nd Armored Division fights the German 112th Panzer Brigade. 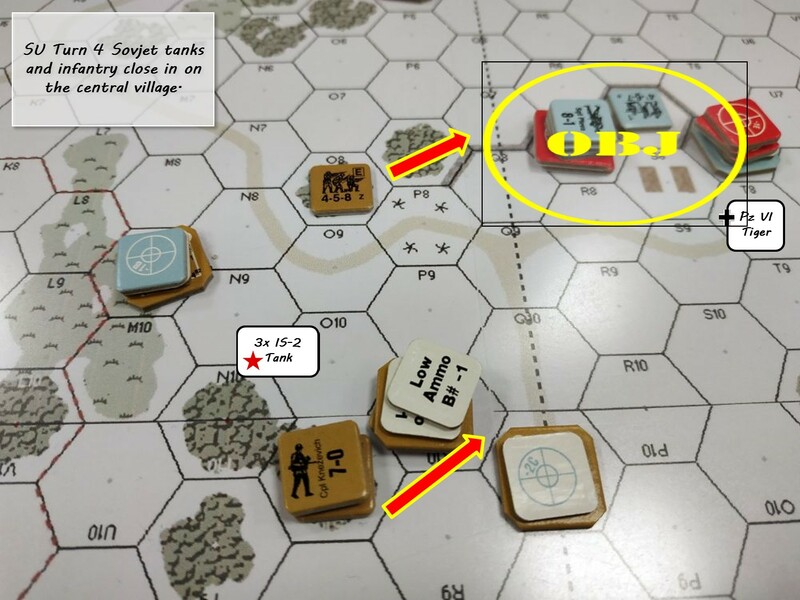 This last game was one of the most furious ASL games I have ever played. 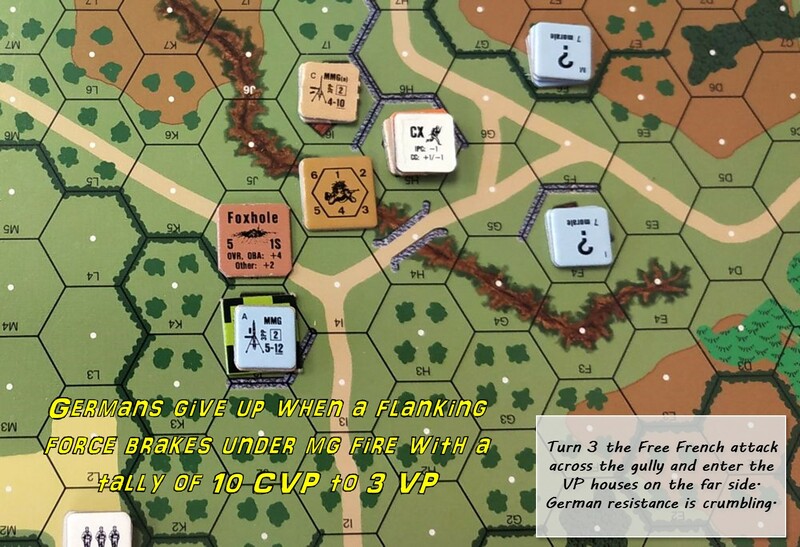 Sadly I underestimated the effectiveness of the German 75mm gun carriers. Also I sent my precious reserves on a flanking mission. I should have rather used them to bolster the defense inside the town and around the Free French HQ. Another lesson learned the hard way.